Decisions have been made. Not all completely by me. I will be leaving my second job sometime this summer. 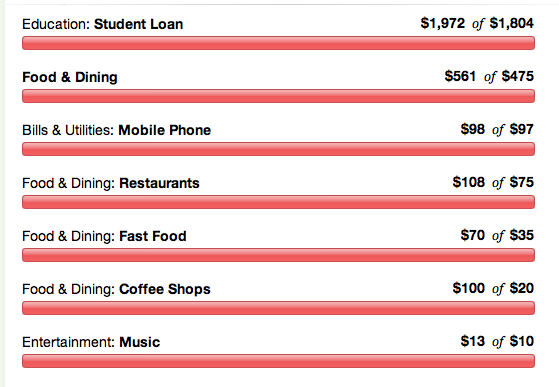 This means I will need to start paying about $1,000 or more in rent and utilities. 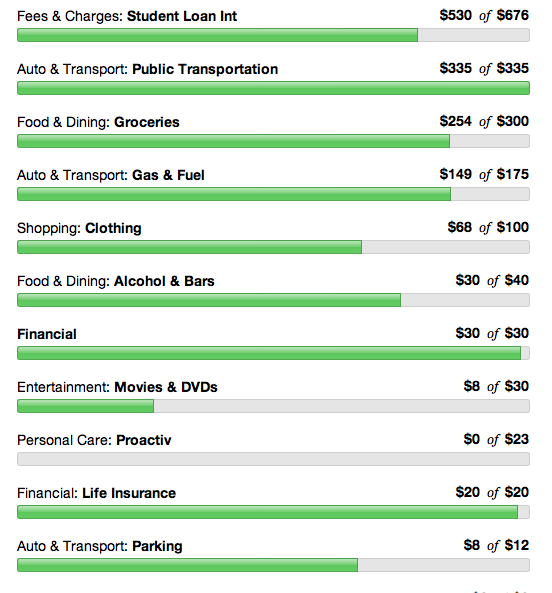 This also means about $1,300 or so less money coming in each month…so I’m down about $2,300 every month. Remember that $2,500 I was paying every month toward my student loans? Say goodbye to that. And about $1,000 of that is my minimum payments, so I need keep some of it, and make cuts elsewhere. It’s looking like I may move with my gentleman friend into an apartment owned by one of our mutual friends. And my dog is coming (back from my mom’s)! It’s about a mile from a closer train station, so I’ll save some in my train pass, and parking (by walking or getting dropped off) and gas. Being closer to family will mean less gas use too driving back and forth for non-work purposes. I think food needs to be where most of my cuts are made. And savings. Sigh. But my life should get markedly better. Only two hours instead of four in commute time! Spending time with the man! Sleeping in more! Minimal responsibilities when I get home for the night! Being home means it’s easier to make my own dinners and lunches, and enjoy the company of my friends! Playing with babies! It may be rough going for a year or so, but the man should be graduating after a year, then we’ll have a better idea of where we want to settle down more permanently. After making dents in my student loans for the last year it will be hard to see virtually no progress for a full year, but I’m under the amount I had on initial principal. And my 2014 tax return should be awesome…in a year…. but now that I have a permanent job, I can certainly get by. We’ll hope for a bonus next year too. So expect this blog to move over from big hits to my debts, to attempts to become more frugal so I can keep up with my minimums plusmaybealittlebit. I’ll be saving the next few months or so, to make sure I have a good buffer for when I have higher expenses, but I’m still hopeful that I can pay off UG3 in a few months (balance $1,112), and hopefully about half of UG4 ($3,318). Maybe the rest of the undergrad loans can go next year. I guess we’ll see! I don’t have a whole lot to say tonight, but I’ve been pretty lax about posting lately, particularly since the man usually gets here on Friday nights, which is optimal wind-down blog time. What I wanted to write about, and solicit comments about I guess, is budgeting and re-budgeting. I generally set a budget at the beginning of the month and don’t readjust. This month I thought I might try something new, since I blew my clothing/shoes budget this month. Somanyflipflops. I also sent more to my student loans than I planned for–I’m thinking this might be my new standard amount going forward. 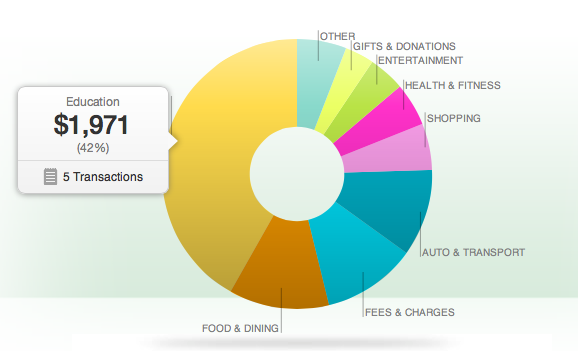 I kept the net spending amount the same, but I adjusted some budget items down. This included adjusting down my restaurant budget (which I deliberately bumped up this month because I was taking my sister out to dinner, which ended up being lunch and therefore cheaper), so I’m hoping I can stay within that. My fast food budget isn’t over yet, solely based on the fact that I’ve been too late for my train to buy numerous pretzel. I still have my alcohol budget (boozebag), which I may use for trivia in the next week or two, or meeting an old coworker for drinks/dinner. I didn’t adjust the clothing budget for the amount I went over, solely because the overage amount hasn’t quite been established by my friends at the shoe store. But I do have $200 still left in my “everything else” budget, and I’ve been really good about not going to Wal-Mart and spending $20-$200 on whoevenknowswhat. So I might reallocate some of that money to the clothing budget. The point? Is it acceptable to break the budget, so long as you’re still within the overall budget? I’m hoping readjusting mid-month will help to better keep track of where I am in relation to the overall goal. Am I supposed to be really strict with myself and be clear on what all of my expenses are for the month? I think I’m okay with trying this for a month or two, and seeing whether I can stick within the overall budget. We’ll see. My boyfriend and I went to an open house yesterday. We had been creeping on some real estate listings and this house was seemingly perfect (though way out of range of anything we’d be able to afford right now). It did not disappoint. There were one or two things that I could have nitpicked, but the house was amazing. Anyway, in my creeping of real estate listings, I’ve started looking at condos. There are a few condos that run for around $120,000 or so (there was even one that would have a mortgage smaller than my student loans!). I am thinking I’m staying for another year and keeping the second job (as much as I feel like my life is on hold), but I’m thinking buying a condo might not be a bad decision toward the end of the year. I’d hopefully be able to take advantage of low real estate prices, and have a place set up to live when I move (presumably) next May. We could live there for two or three years, paying about or less than we’d pay for rent, maybe have one baby, then move into something bigger and rent it out (for more than the mortgage). I’d even get some tax deductions in the mix. Obviously I’d have to consider that it might not always be rented and owning comes with maintenance costs, but it seems like it might be something to really think about. Any landlords or homeowners have any advice?